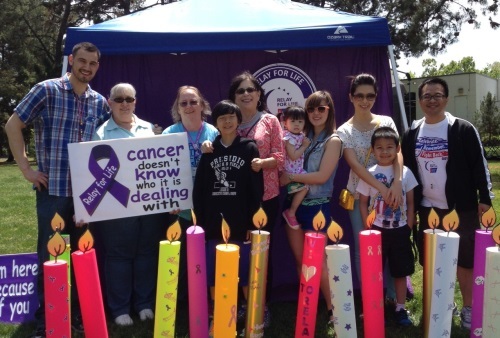 Relay for Life – The Bay View Funding Team Fights On! Raising money for the American Cancer Society is extremely important to the employees at the invoice factoring company Bay View Funding. Bay View Funding's Mountain View team, came together, for the third year in a row, to participate in Relay For Life, proudly raising money for The American Cancer Society. This is a charity that is close to the hearts of every team member. The 24-hour event saw team members rallying together to raise money, camp, sell T-shirts, encourage each other as they took turns walking around the track, and generally spend valuable moments bonding together for a great cause! Lynn Richard, AVP and Senior Account Executive, keeps the team encouraged throughout the year. She has been involved in cancer fundraising activities for several years. 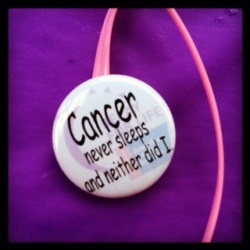 More importantly, Lynn is also a cancer survivor, and is always available to encourage and support coworkers who have lost loved ones to this dreadful disease. Many team members were extremely moved by the Luminaria Ceremony. This is a special time to remember those who lost the battle, to support those currently fighting cancer, and those who have beaten the disease. This powerful moment saw everyone pulling together to find some sort of a positive way to keep fighting and find hope. Bay View Funding is 100% committed to helping fight cancer year round, and will continue with all of their fun activities with a serious motivation behind each event. As Lynn says, “it is time to finish the fight.” And I think we all agree with that sentiment!